Tucked away on a quiet thoroughfare skirting the walls of Dublin Castle is the Trust’s most recently refurbished building. Saved from demolition in 1996 and refurbished over a three-year period, Number 4 Castle Street is the perfect example of a Dublin merchant shop house and is the only surviving Georgian house on what was one of the medieval city’s most important streets. Fully restored to its former glory, this handsome building is one of the last of its type and period to remain intact, now dynamically adapted as home to a variety of digital media and marketing agencies. The architecture of Number 4 is typical of the late Georgian, Dublin classical style, rising four storeys over basement with a shop to the ground floor. It features a quietly elegant façade of good quality lime-wigged yellow brick, well-proportioned timber sash windows which decrease in size as they ascend the building, and granite window sills and parapet coping. The traditional timber shop front with pilasters and sheet glass display windows dates to c.1900, but may incorporate some elements from the original early 19th-century shop front. 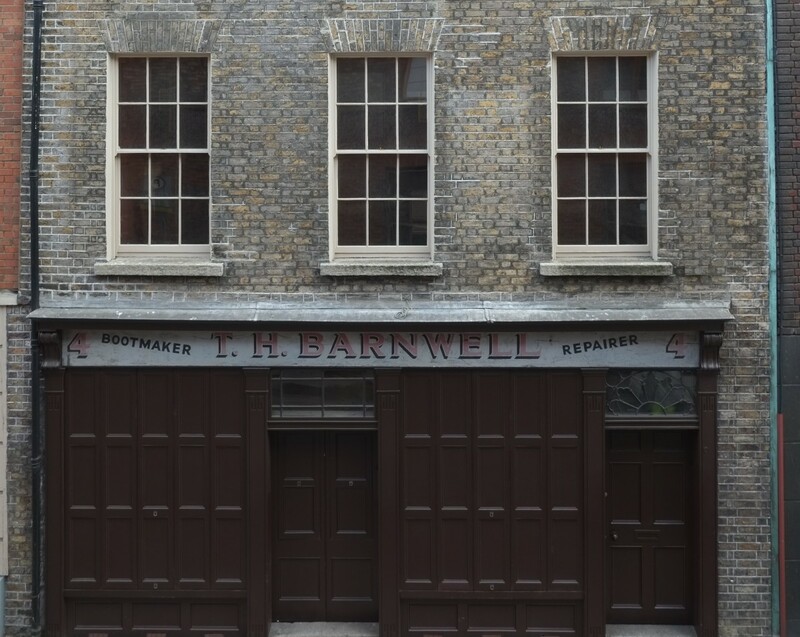 The fascia with trade lettering of the last occupant of the shop, bootmaker and repairer Thomas H. Barnwell, was retained by the Trust, while traditional window shuttering – the largest expanse surviving in Dublin – has been faithfully reinstated. Number 4 was not originally listed for protection at the time of the Trust’s acquisition, however the discovery of medieval timbers embedded in its western party wall, likely to have been salvaged from a former timber-caged house demolished in 1812, was to result in the building being preserved. The building was subsequently designated a Registered Monument on account of its pre-1700 elements and is now also a Protected Structure. 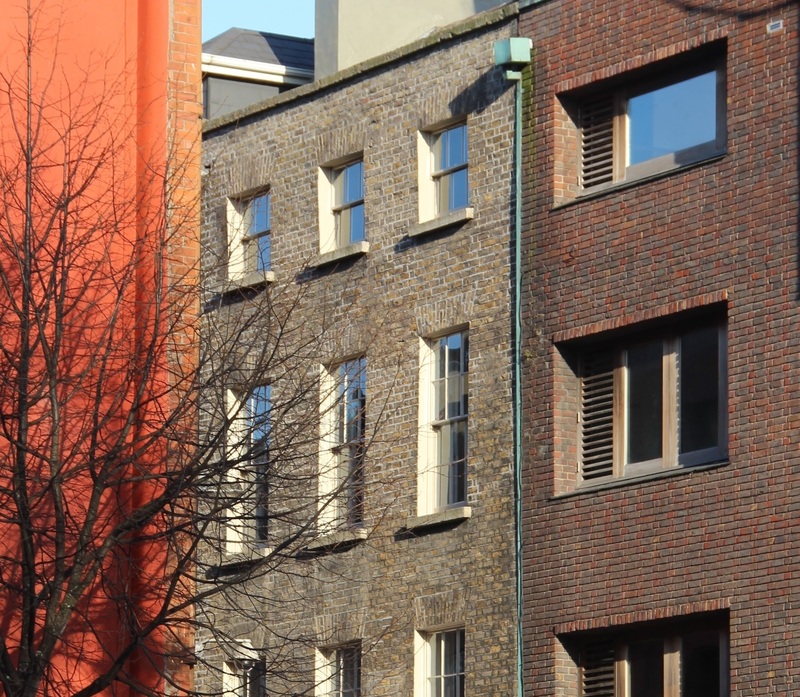 Number 4 is complemented by the exemplary contemporary building next door designed by DeBlacam & Meagher architects – a masterful exercise in brick and timber that effortlessly turns the corner with Werburgh Street. In an unassuming corner of Dublin under the shadow of Christ Church Cathedral, these two buildings powerfully demonstrate the effect of sensitive conservation and creative urban regeneration.